Evergreen International Aviation Chairman Tim Wahlberg joins original Spruce Goose flight crew members Johnny Glenn (mechanic), Don Smith (flight crew engineer), Vic Leonard (mechanic) and Hughes Aircraft employee Evelyn Potts. 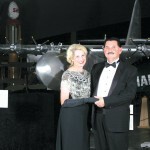 The Evergreen Aviation Museum hosted a 1940s themed hangar dance on September 24. Attendees traveled back in time, to the famous Culver City hangar where the final touches were put on the “Spruce Goose” prior to its one and only flight. 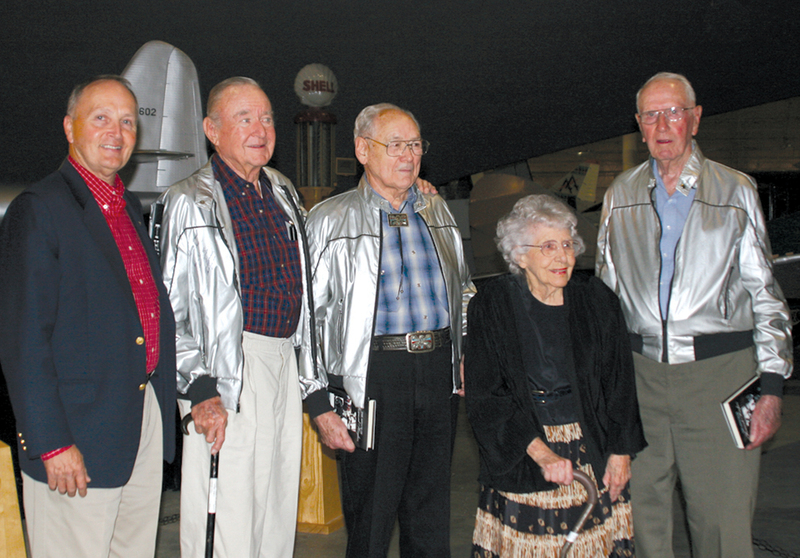 Special guests included the only three surviving “Spruce Goose” flight crew who all had crucial roles during the famous Nov. 2, 1947 flight. 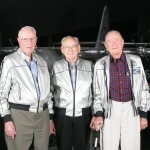 They were Johnny Glenn, Vic Leonard and Don Smith. Glenn served as the auxiliary power unit operator, Vic Leonard served as a mechanic and Don Smith manned the engineer station. The Evergreen Aviation Museum, near McMinnville, Ore., is best known as the home of the world’s largest wooden airplane, the “Spruce Goose,” as well as an SR-71 Blackbird, Grumman F6F-3 Hellcat and the Titan II SLV Missile. 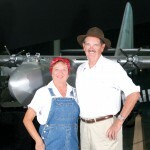 In addition, there are more than 60 historic aircraft and exhibits on display, along with artwork, traveling displays, the newly remodeled Spruce Goose Café and the museum store. For more information, visit [http://www.sprucegoose.org]. L to R: Spruce Goose crew members gathered in front of the miniature from “The Aviator” are Don Smith, Vic Leonard and Johnny Glenn. 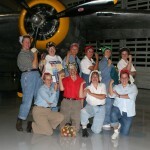 Prizes were awarded for best “Rosie the Riveter.” The “Rosies” gather in front of the Evergreen Aviation Museum’s B-25. 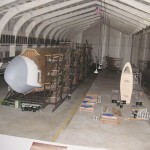 The Culver City hangar miniature set, created by New Deal Studios and used in the Academy Award nominated film “The Aviator,” was unveiled during the hangar dance. 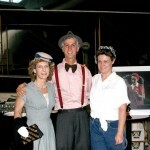 Hangar dance guests enjoy the 1940s Culver City theme.